It should be admitted that a snow-white and healthy smile – it is a standard for a person living in the 21st century. To look after the oral cavity in our days, does not make any hard work, the main goal is to find “your own” dentist. The main IDEA of the clinic NikaDent is work on modern equipment with advanced technologies, guarantees of infectious safety and highly professional personal. And also, civilized, accepted all over the world, relationship between the doctor and the patient, and within the collective. 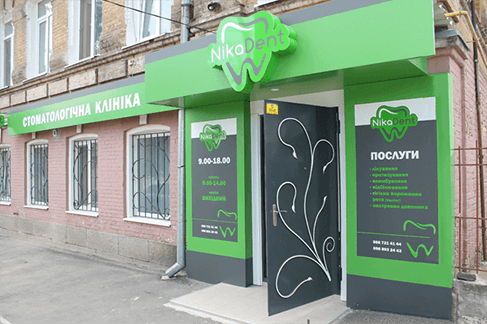 NikaDent clinic surprisingly combines secular chic and home cosines, and friendly staff with participation handles to any problems of patients. You have nothing to worry about – after all, only the best specialists take the reception in the new clinic. They carry out any procedure only with the help of proven European technologies and guarantee a good result.